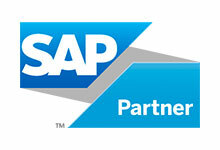 Integrate your SAP data in your SQL Server Destination – fast, straight-forward and user-friendly. 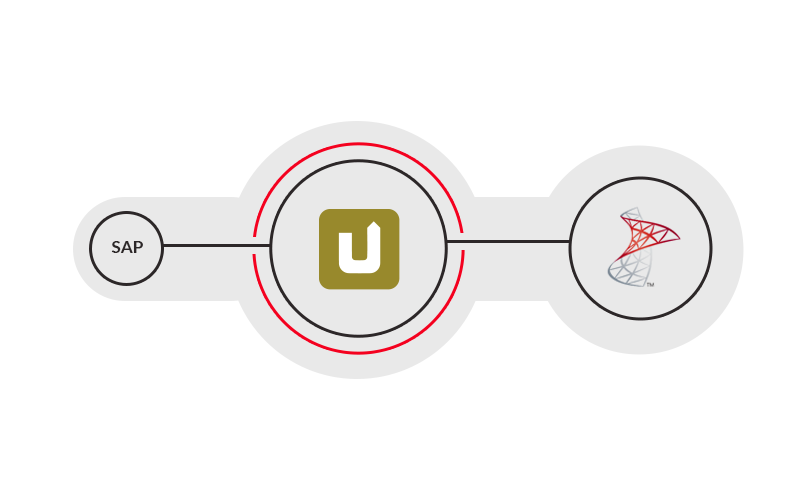 Xtract Universal enables you to save data streams from SAP to your SQL Server destination environment, and thereby significantly reduce development time, thanks to a high degree of automation. 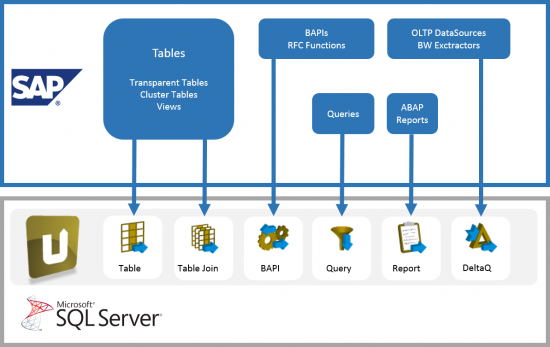 The central server component constitutes the data hub between SAP and SQL Server applications. Extractions are created as well as accesses released and monitored for consumers via the Designer. 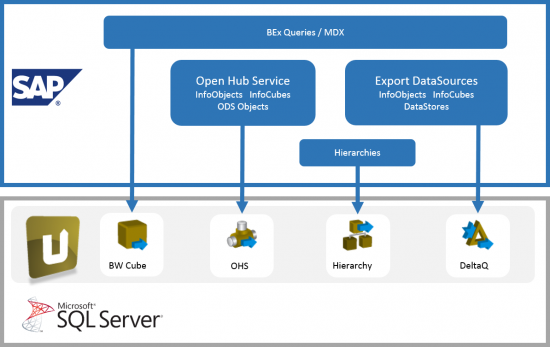 But what is the difference between Xtract Universal and Xtract IS, a tool optimized for the SQL Server Integration Services. You will find answers to this in our comparison.